Showing results for tags 'shalladin'. My valentines gift to myself. There's not enough fan art of affection in the fandom, whether platonic or romantic. You could take this as either. Let me preface this by saying that I do not think that Shallan and Kaladin should have ended up together in OB but I do think they will end up together in the future. This is also going to be a long post detailing my rationalisation of the love triangle so buckle your seatbelts. Credit to users @SLNC and @Dreamstorm for writing on this topic far more eloquently than I ever could. Before you dive in I would recommend a quick read of this for in-text evidence (credit to @Ailvara): https://docs.google.com/document/d/1VqLjiUojkPqIfLJLyu7OnykTP3i-LG0f5f1KjRSJE6A/edit?usp=sharing The love triangle in OB was probably the most frustrated I have been left feeling by any of Brandon's writing to the point where I have barely re-read OB while I have enthusiastically re-read most Cosmere books multiple times. I disagree with the notion that the trope of love triangles is always indicative of lazy or low quality writing; I feel that it can be a very effective narrative driving tool if done well. However, you only need to glance at the locked love triangle discussion thread to see that a large portion of the community was left disappointed with how everything was handled. One of the things I keep coming back to when trying to rationalise the situation is this: What was the point of the love triangle in the first place? Brandon is my favourite writer and I feel comfortable saying that his writing has improved consistently over time. Everything from the structure to the prose to the fine details of magic systems and foreshadowing has been dialed up that extra little bit as his writing career has progressed. This pattern is what left me feeling most confused with the love triangle as I felt it was poorly handled (assuming it is a done deal). The narrative purpose of a love triangle should be to drive character growth and development yet I feel that none of the members of the triangle experienced tangible growth and it could even be said that some of the characters regressed (Shallan). 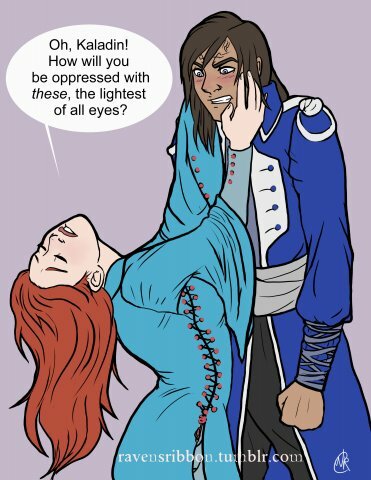 Examining the effect of the love triangle on character development: Kaladin: The main thing that could be discussed here is how his prejudice against lighteyes was challenged by discovering the hardships that Shallan has faced, thus pushing Kaladin towards overcoming his spiteful attitude towards lighteyes. However, this character arc has been targeted from multiple angles with only the Shallan angle having any romantic implications. Kaladin's deep respect towards Dalinar, his friendship towards Adolin and his comeraderie in the Kholinar wall guard all help in tearing down the walls Kaladin has built up. A romantic angle is completely unnecessary to catalyse this process and would be poor justification for the love triangle. Kaladin's assertion that he never really loved Shallan and that she simply reminded him of Tien comes off as disingenuous to me. Kaladin is an honorable dude and he would not step in the way of a happy relationship, especially between two people he likes. This scene to me felt like Kaladin was trying to suppress his feelings and get on with his duty. Adolin: He really gets shafted by this entire narrative arc. He is a secondary character that was always meant to be a secondary character. Adolin is as close to a Mary Sue as we have seen from Brandon in my opinion. He is probably the most well rounded and least troubled human on Roshar for storm's sake, and therein lies the issue of developing his character. I personally like Adolin but I have not liked how his story has been handled recently. I thought that his murder of Sadeas might set him down a more interesting path so the lack of consequences so far has been underwhelming to say the least. Moving on to his relationship with Shallan; Adolin has no idea what he is getting himself into. The issue here lies in his identification and interaction with Shallan's personas which I think is putting a band aid on a very messed up situation. Shallan: I feel like Shallan regressed due to the love triangle arc. A point to realise here is that the personas Shallan constructs are exaggerated aspects of her personality. 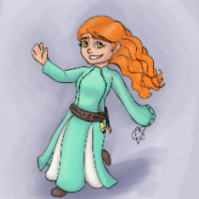 I can't find it right now but a user here had a great analogy where they said that the 'True Shallan' is the sum of her personas where she has fully integrated them. In this system, Radiant as the shallowest persona has a value of 1, Veil as a more developed persona has a value of 2 and the 'Shallan' persona has a value of 3. The Shallan that we as an audience see is in fact a persona. We have never truly seen the real Shallan. The 'Shallan' persona is denoted fShallan for fake Shallan, not to be confused with feruchemical Shallan. So tShallan= Veil+Radiant+fShallan for a combined score of 6. Brandon has said that Shallan's personas would be seen as a single individual in the cognitive realm which shows that they all herald (hehe) from the same original individual, tShallan. You could write a thesis on Shallan's psyche and someone here probably already has, and I simply do not have the time or willpower to do so myself so I will summarise the implications here; Shallan and Adolin identify the personas as separate individuals which allows Shallan to ignore her psychological issues. Shallan pushes her problems that she can't deal with onto her personas, as seen with Veil's lust for Kaladin. Shallan's willful ignorance of her true feelings could potentially lead to the death of Pattern as Lightweaver oaths are based on truths and self-awareness which Shallan needs a healthy dose of e.g. dismissing her feelings for Kaladin by saying that 'Veil has poor taste in men'/ Conclusion: I admire Brandon's qualities as a writer too much to believe that he would construct the love triangle arc for seemingly no purpose. If someone could explain why the love triangle was written in the first place then I could rest easy. The love triangle did not stimulate appreciable character development and left a foul taste in the mouth of many readers here which begs the question of why it was done in the first place. The most rational explanation I can come up with is that the love triangle is not resolved and Brandon's foreshadowing will have a big payoff. Addressing the fans who are content with how the love triangle has panned out: I am not trying to personally attack any of the groups I mention here. I am simply sharing my own though process and encouraging others to reflect on their own. There are a large number of fans who were satisfied or indifferent to the romance in OB so I will attempt to persuade you below. These groups are: Non Romance fans: Some readers do not care for romance arcs in their fantasy books. I personally believe that romance is an integral part of storytelling. Many say that literature is the exploration of the human experience, and the human experience is incomplete without that spark of intimacy that romance provides. Sure, there are those who are asexual, but that is not the norm and it could be argued that Jasnah is a good representation of an asexual character. Fantasy as a genre is simply one of many storytelling mediums, a medium where fantastical elements interact with our relatable characters. So while Stormlight Archive is a fantasy series, it is the characters in the series who we fall in love with as fans. 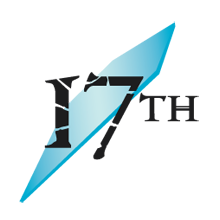 A good character has flaws and experiences challenges which resonate with the audience on a profound level. Romance is a natural part of life that helps ground characters in reality, thus improving the quality of storytelling. Adolin fans: I did not like Adolin very much at first, but he has really grown on me and has become one of my more liked characters. 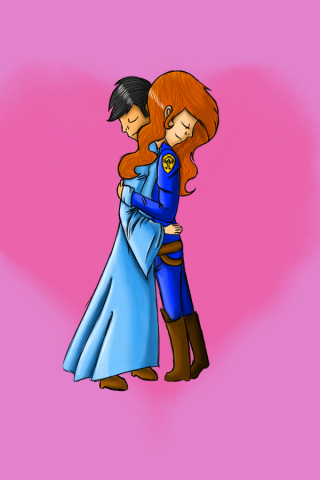 Many Adolin fans want the best for Adolin's character, which they equate to a happy relationship with Shallan. 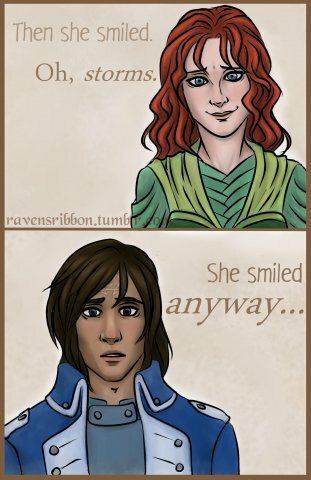 I would argue that Adolin is getting screwed over by his marriage as he does not know Shallan nearly as well as he thinks he does. He does not know that she killed her parents and does not know the depths to which she is broken. Neither he nor Kaladin know of Shallan's dangerous involvement with the Ghostbloods which may come back to bite her. 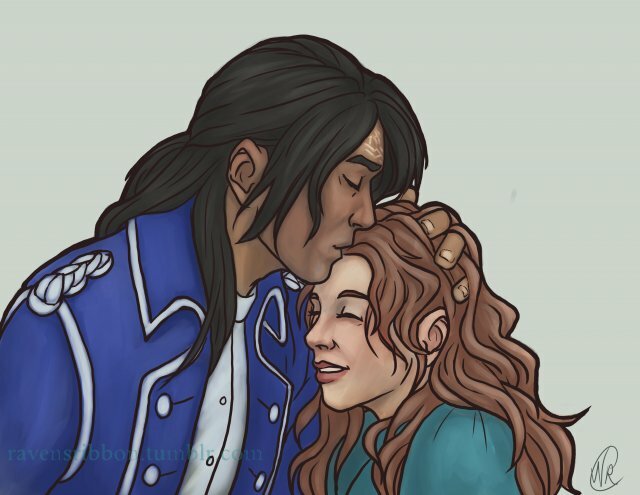 I want Adolin to get a happy ending as much as anyone but I simply don't see it happening through his relationship with Shallan. Those who think Kaladin should remain single: I don't see Kaladin as an asexual character or a character that will always place duty over love. Kaladin's lack of romantic involvement stems from his own lack of self-worth. He blames himself for the loss of Tien and his men which is the likely reason why his scars have not healed as they are marks of his failure. I absolutely agree that Kaladin is not in the right place mentally for a relationship right now, but this is a temporary state of affairs until he manages to forgive himself in his pursuit of the fourth windrunner oath. Shalanshipper posted a topic in Introduce Yourself! Hi fellow epic readers, I'm new here. Just joined today after finishing Oathbringer and dieying over and over again from not having people around who read it. Anyways I just started getting into Branden Sandersons book after I read the Mistborn trilogy. I started steelheart still reading it *badum tiss* .Meanwhile I found the stormlight archive. The rest is a blur. Anyways I shipped Shallan with almost everyone thought the while series. Until Adolin and Kaladin. So I was okay as long as something was sailing. This was too much fun to draw. Part of a drawing challenge on my Tumblr. Hopefully more to come soon! "Storming woman." © Art belongs to Natalie Rodgers. All characters belong to Brandon Sanderson. This is merely my interpretation and is therefore unofficial. 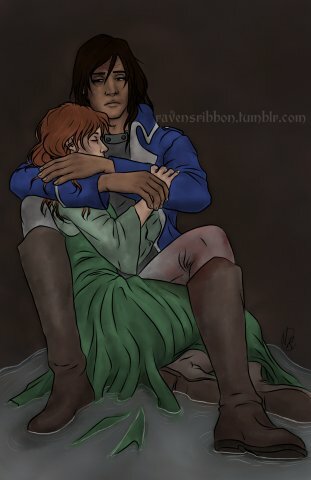 Another old piece in which Kaladin feels guilty after finding out about Shallan's brother while they shelter during the Highstorm. A silly doodle regarding certain changes in appearance that are bound to irritate a certain bridgeboy. The very first piece of fan art I did for SA a couple of years ago. That scene has stuck with me since I first read it.